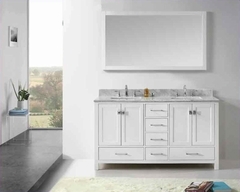 The sleek contemporary lines of Bella will enhance any modern living environment. 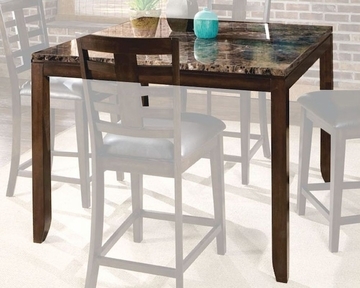 Simulated marble top is durable and elegant while enhancing the walnut colored finish. Group may contain some plastic parts. 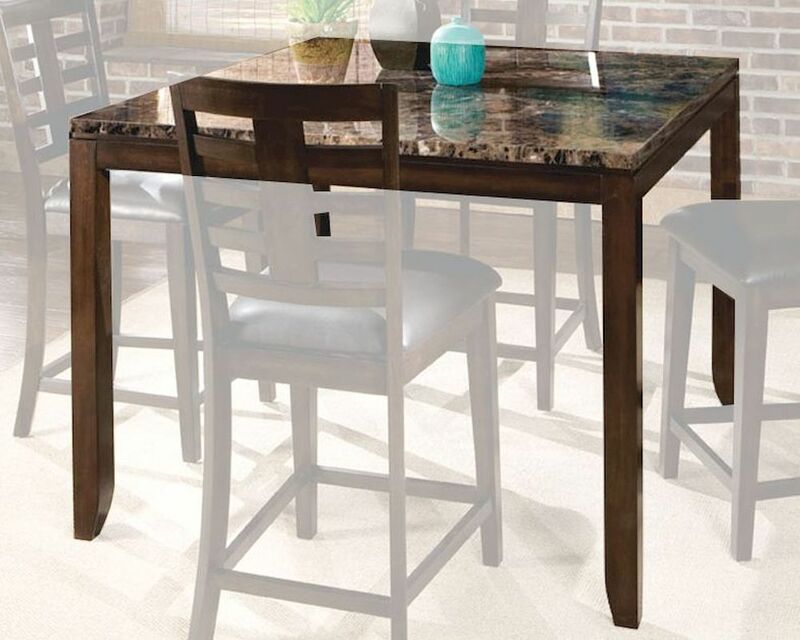 Walnut color finish w/ faux marble travertine color tops. Seat cushions are PU brown color.